With landscape that varies from parched red desert to mediterranean vistas, golden beaches to tropical green rainforests, snow capped mountains to untouched islands, Australia has such variety you could be excused for thinking it is the whole world in one country. The past and future collide in the great coastal cities, with a forward-looking attitude that embraces Australia's Pacific Rim location. This gives a heady contrast to country a country that is so rich in reminders of its often mysterious past. The country has a wealth of prehistoric Aboriginal art that paints evocative pictures of a distant times gone by and the fabled 'Dream time'. Colonists have added tales of early prison settlements that were replaced with Victorian Architecture that adds a European ambience to the cities. 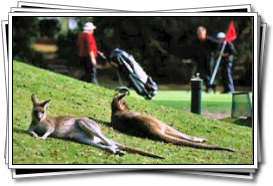 Australia's beaches and surfing are legendary around the world and bordered by resorts and cosmopolitan cities. The country's largest and best-known city, Sydney, is a more fashionable destination than ever. Melbourne, historically the great rival to Sydney, has a more European ambience of pavement cafés, parks, gentler climate and metropolitan trams. Brisbane, Australia's third largest city, is the capital of Queensland and sits upon the Gold Coast, a seemingly endless stretch of beautiful beaches. The other coastal cities of Adelaide, Darwin, Perth and Cairns offer other experiences and individual character, with much to see and do. But of course, in a country the size of Western Europe the cities are only the very tip of the iceberg. Leaving the cities and heading into the outback, Australia is open and almost empty. There is a great sense of space that people from many crowded countries may never have experienced, with at times not a soul to be seen from horizon to horizon. In the centre of the country the great monolith of Uluru (Ayers Rock) rises some 1400 feet from the desert plains and is over 5.5 miles round its perimeter. The rock is considered sacred and spiritually significant to the Aboriginal people and when you see it, it is easy to understand why. The amazing red sandstone takes on various hues depending on the position of the sun. The one photo you are not likely to get on your holiday! 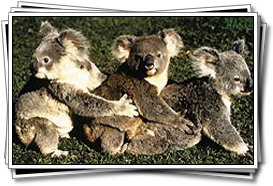 But which of this kaleidescope of different postcard pictures describes the real Australia? For that, you will have to come and see for yourself. 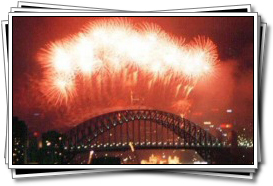 Travelling to Australia with children? Be sure to check out this site for a huge list of child friendly attractions. 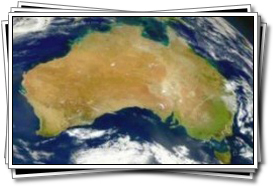 Click on any of the highlighted destinations on the map of Australia below for more information.